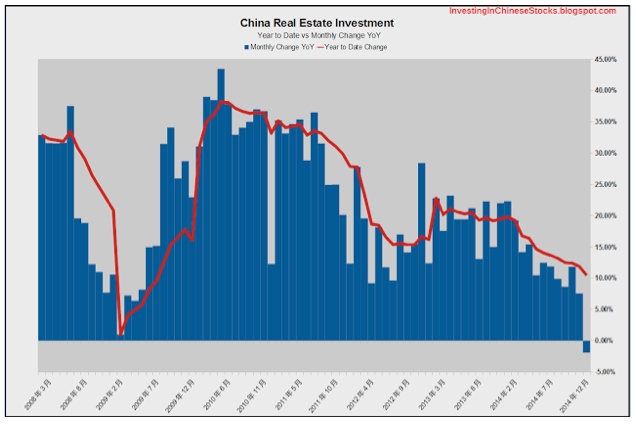 Chinese leaders look increasingly panicked about the real estate market, and with good reason. It shows us just what we should be looking for in Australia. I don’t quite know quite to make of this story out of China. 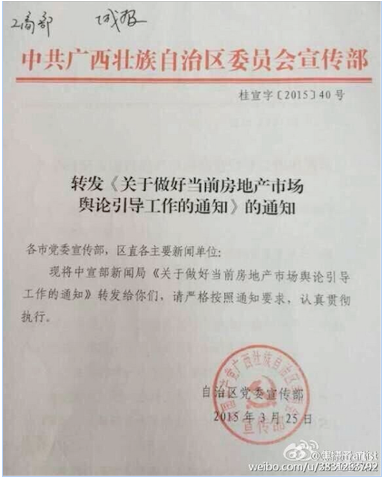 Seems the government has issued an edict ‘encouraging’ news organisations to pump the Chinese property bubble. Things are done differently in China. We all know that. In this case, the government is trying to steer the property market by leaning on ‘confidence’. I guess Aussie governments do that too, but in China, they’ve got the muscle to get the papers to do what they want. Anyway, seems there was a bit of Chinese wiki-leaks drama last week. Here’s the leaked document. On the suggestion of leadership, news organizations are asked to please focus on the stable real estate market policies, support the Housing and Urban Development and other departments to do a good job of guiding public opinion about the real estate market, to help create a stable real estate market, healthy development, and a good atmosphere for public opinion. Focus on public opinion, persist in positive agenda setting, objectively cover of the real estate market situation, accurate interpretation of the relevant policies and measures to correctly guide market expectations, boost market confidence. They’re asking the papers and propaganda departments (what even is that?) to be ‘objective’ but I think we can all read between the lines. Talk up real estate. Don’t dwell on bad news. “Correctly” guide market expectations. Be part of Team China. And why does the Chinese government feel a need to lean on the press like this? Well, I reckon it’s because they recognise that China is just a couple of bad months away from a full-on property bust. And maybe confidence is the only thing keeping the whole show on the road. Because China, at the national level, is potentially facing massive oversupply. 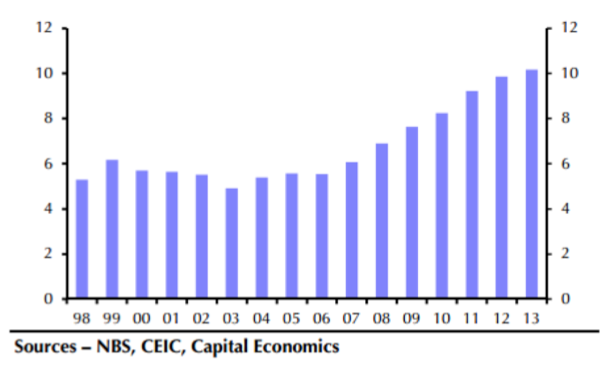 And that oversupply is one of the unwanted party guests that came with China’s long-running property boom. National prices have more doubled since the year 2000. In many cities they’ve increased many multiples more. Officials started to worry that things were getting out of hand, and so local governments (under the direction of the state council) started imposing lending restrictions to try and cool things down. But it was not before developers created a massive over-supply of housing. 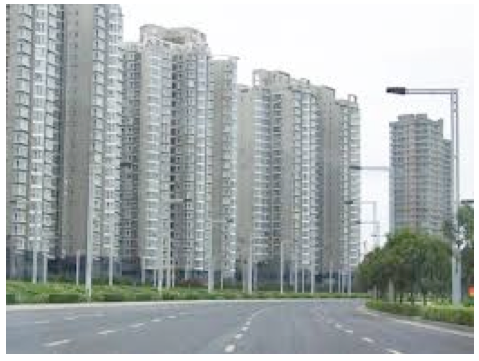 In 2007, around 6 million new homes were built in China. In 2014, that number had risen to over 10 million – an increase of 66%! This is where all that iron ore went. But at the same time as supply was growing rapidly, demand started to ease. 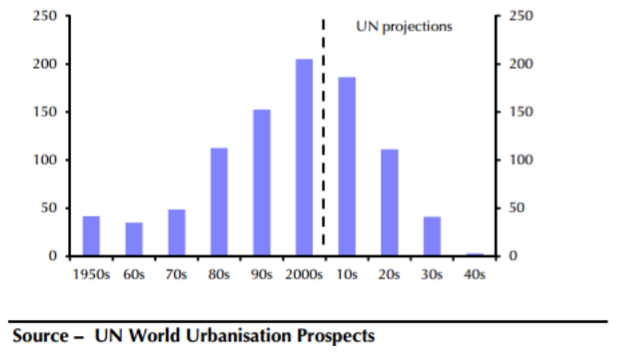 In fact, growth in the urban population has already peaked, and in the decades to come, growth in China’s urban population will steadily decline. As a result, China is facing what the Financial Times calls a “chronic oversupply”. Beijing currently has 12 months supply of new homes waiting to be sold. It’s even bigger in some of the smaller cities. And China’s “Ghost Cities” have become world famous. And that over-supply is already weighing on prices. The year on year pace of growth has slowed from around 10% at the end of last year, to around 4% today. 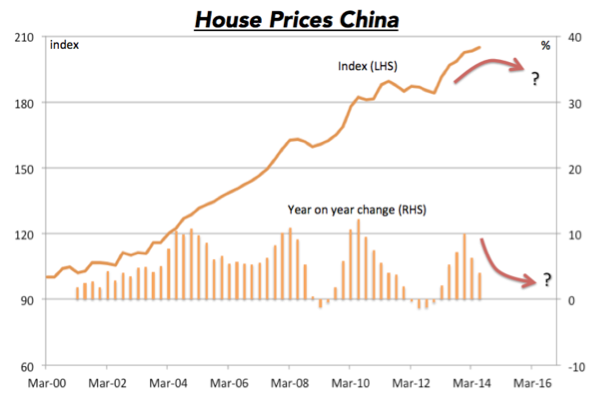 House prices in many Chinese cities have actually started falling. 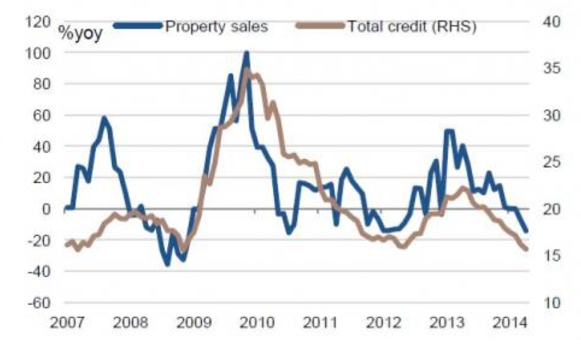 The number of property sales has started falling as well, while total credit growth, which goes hand in hand with sales, is also slowing. And real estate investment has actually fallen for the first time since the GFC. And with that much oversupply, if prices actually started falling, it could quickly escalate into a rush for the exits. And that’s the thing to remember. It’s over-supply that bursts bubbles. If there are more homes than people need, there’s nothing to support falling prices. Falling prices then feed on themselves, until the over-supply is brought back into balance. That can take years. And this is what we saw in the US. It’s what we saw in Ireland. But it’s not what we’ve seen in Australia, the UK and Canada. Countries that all dodged the GFC bullet. Australia remains in clear under-supply, mostly due to excessively tight planning controls. That hasn’t been the result of some clever defensive economic policy. In this case, I think our politicians just got lucky. Incompetence pays off. They pulled a Bradbury. But until that changes, there’s no bubble in Australia, and no risk of a bust. Sure, we’ll still have our cyclical ups and downs – there’s no getting rid of those. But there’s a world of difference between a downturn and a bust. And China might be about to find out the hard way.